As far as progressive intros go, it’s all about the harmony. Right away, your objective is to confidently highlight elements that will be working together throughout the song. Each element is just as important as any other. Every pitch matters. Together, they set the mood. They give the listener an idea of what the song is going to be like. If the intro is not epic enough – chances are – the listener will move on, especially in dance and club genres. The intro starts from nothing and slowly becomes a full arrangement. The mix is very important in electronic intros. Instruments need to be in constant agreement. Nothing should stick out or “take-charge” except maybe a droning sound effect or a hint at the melodic motif. The groove usually sneaks in, keying a little bit of compression or “ducking” on the synths. There is typically a lot of gradual automation – perhaps filter cutoff, spectral content, or modulation amounts. It is often characterized by parallel and group processing. 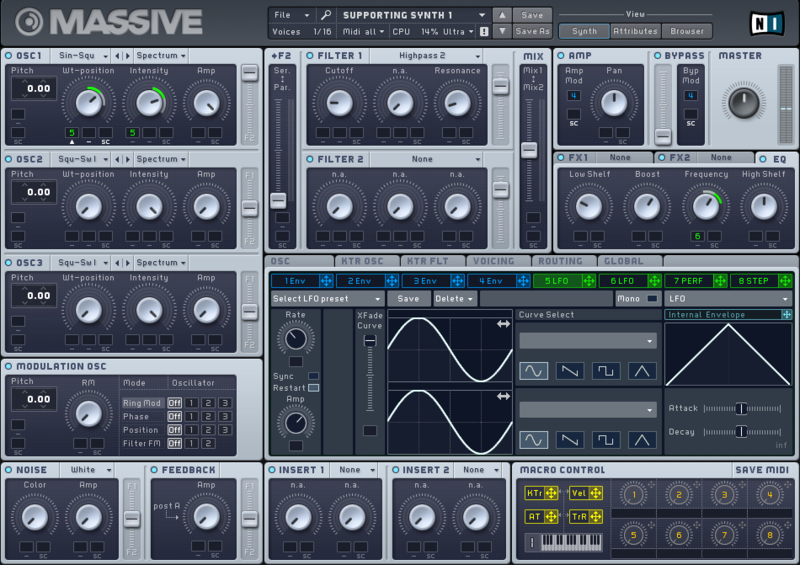 In this blog, I will walk you through one method of creating a progressive house introduction involving 5 instruments. 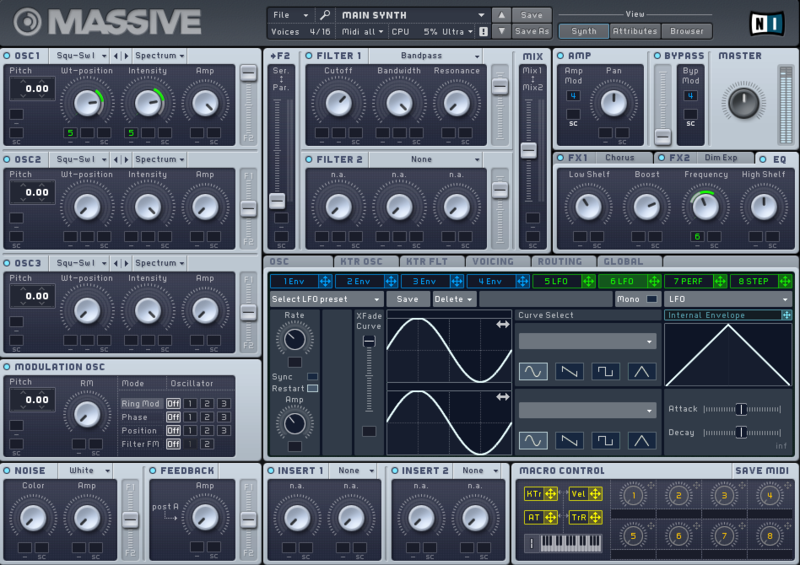 The Sound – To start, load up a sawtooth wave in a hybrid synth like Massive. It does not have to be an exact sawtooth. You can use a composite waveform or something more square-like if you want. The important thing is that it is moving or pulsating slightly. You can achieve this by modulating the wavetable position, phase, amplitude, or some modulation amount at a shallow depth. Do something to widen the sound like imaging or multiplying and detuning voices (See Blog: Widening Techniques). Use full sustain, a relatively short attack, no decay, and about a 200 ms release. 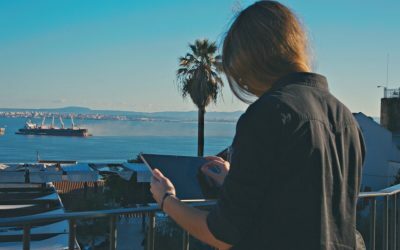 The Notes – This is perhaps the most important step – defining the master harmony. 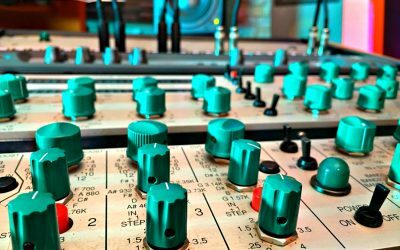 To effectively explain what goes into a good main synth line, I would have to dive into the construction of a good melody, which is a very subjective and complex topic. Simply put: use minor, use legato, have a balanced number of leaps and steps, shoot for sixths and thirds, and avoid fifths and sevenths (See Blog: Scales, Intervals). 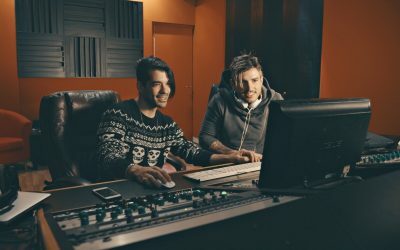 Try making any repetition a bit irregular – for example, you could break down a 16 bar phrase into a 10 bar sub-phrase and a 6 bar sub-phrase (rather than 8 and 8). The Sound – For this sound, you will want a buzzy, harmonious waveform as well. Go ahead and use a variation of the main synth if you want – maybe with slightly different modulation rates/shapes/amounts/destinations. For my example, I will use a new instance with a sine-triangle waveform. It should sound synthetic and fat. but not as fat or warm as the Main Synth. Use the same envelope settings as you did on the Main Synth. 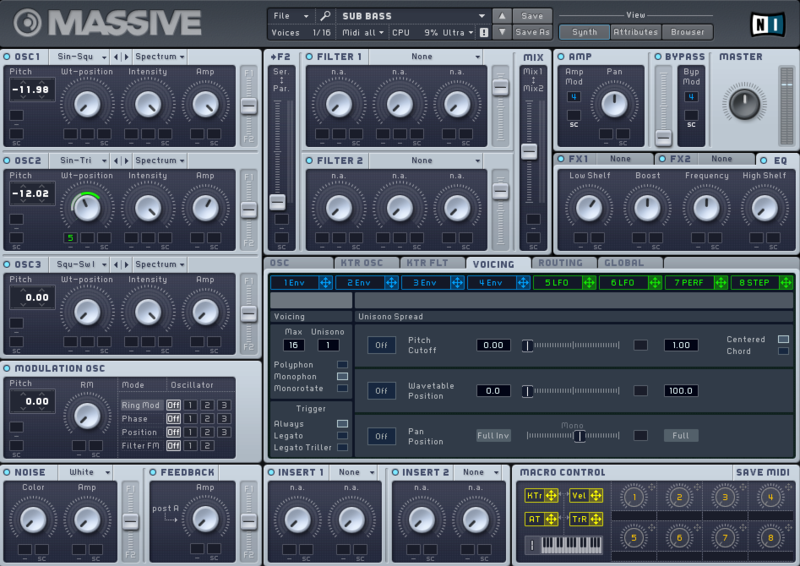 The Notes – Start by duplicating the notes from the Main Synth and putting them in the track lane for this instrument. By starting with this reference, you can see the intervals you create more clearly. The most genuine way to compose this part is to step the play-head through the block while critically listening and drag & drop notes to create the intervals you like . Do not be afraid to use unisons and suspensions. Despite how easy it is to make them, occasional unisons and suspended notes are actually very critical in maintaining coherency. They provide that mature, modest richness you hear in the best productions from artists like Deadmau5 and Tiesto. Once you’ve established the part you want, feel free to add a couple neighbor and passing tones. The Sound – Duplicate the patch for Supporting Synth 1 for this and make some very subtle change. I would recommend a slightly morphing the waveform. We will do some processing later to further define this element. Use the same envelope settings as you did on the Main Synth. The Notes – Start by duplicating the notes from Supporting Synth 1 and putting them in the track lane for this instrument. By starting with this reference, you will have an easier time keeping this synth in the same range as Supporting Synth 1. They should be like twin siblings – you can only tell them apart if you really pay attention. Try using unisons, thirds, and sixths. Once you’ve established the part you want, feel free to add a couple neighbor and passing tones. The Sound – Use a simple sine oscillator like the one in FM8 or Massive. I will set up a little bit of wave modulation and some warm parabolic distortion so it’s not quite so boring – but the sound does not really need much design. Use the same envelope settings as you did for the other synths except lengthen the attack a little. Try adding a second sine oscillator and detuning both a couple cents. The Notes – Start by duplicating the notes from the Main Synth. These will immediately sound “OK” because it’s all unison. One easy way to compose this part would be to simply listen for the notes that aren’t working and change them. Once you’ve established the part you want, feel free to add a couple neighbor and passing tones. 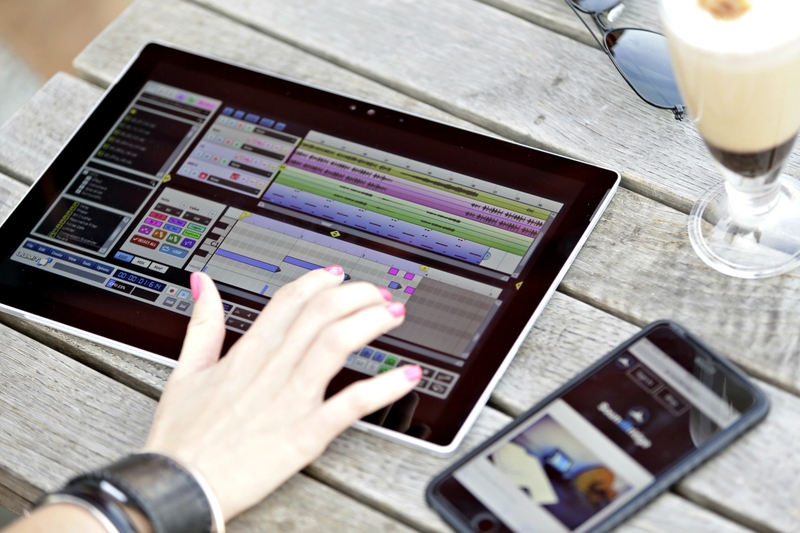 Automation is one of the most definitive techniques used in progressive electronic music. For these synths we’ve created, you’ll want to explore their parameters and find the type of change you like. It should change gradually, over the entire length of the intro. Since these instruments are supposed to sound like one source, automated parameters should move in a similar contour. This will help create that larger than life sense of development. 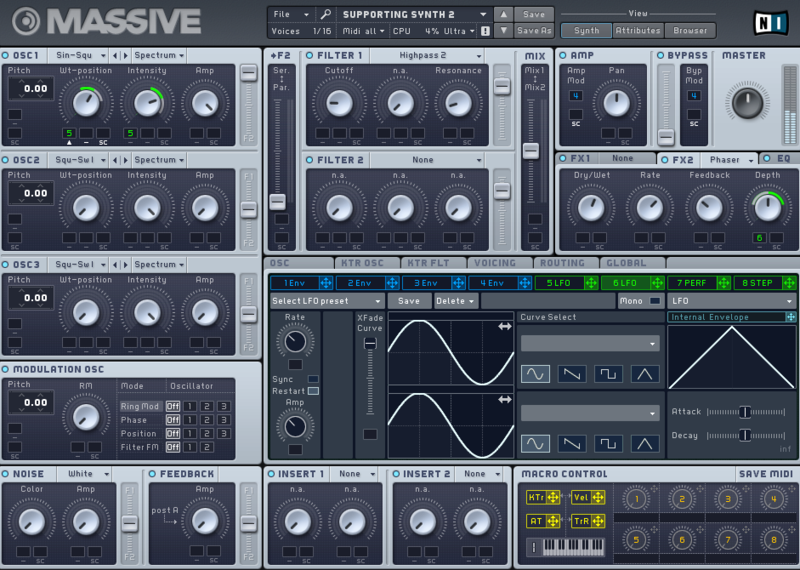 I chose to automate waveshapes, phases, modulation amounts, and distortion amounts. Panning – Pan the Supporting Synths to 3 o’clock and 9 o’clock. Keep the Main Synth and the Sub Bass in the center. Consider automating pan positions. Group – Group the synths (except for the sub) and drop an EQ on the group output. Sweep a couple resonant peaks around, listen for the spots that are unpleasant, and drop them out. Do this once more in search of pleasant resonances and boost those a little – nothing more than 3 dB. Enable a low-cut filter at around 150 Hz to get them out of the sub-bass territory – not too resonant. Use some gentle group compression to glue the synths together. This will make them seem to change together – thus, seeming to belong together. I would recommend a threshold of -20 dB and a VERY soft ratio. Parallel – Send the group output to a return track with reverb on it. Make sure the reverb is set to fully wet. I would recommend a larger sized room and a decay time between 2 and 4 seconds. Then, drop a high-pass filter after the reverb set to about 200 Hz. 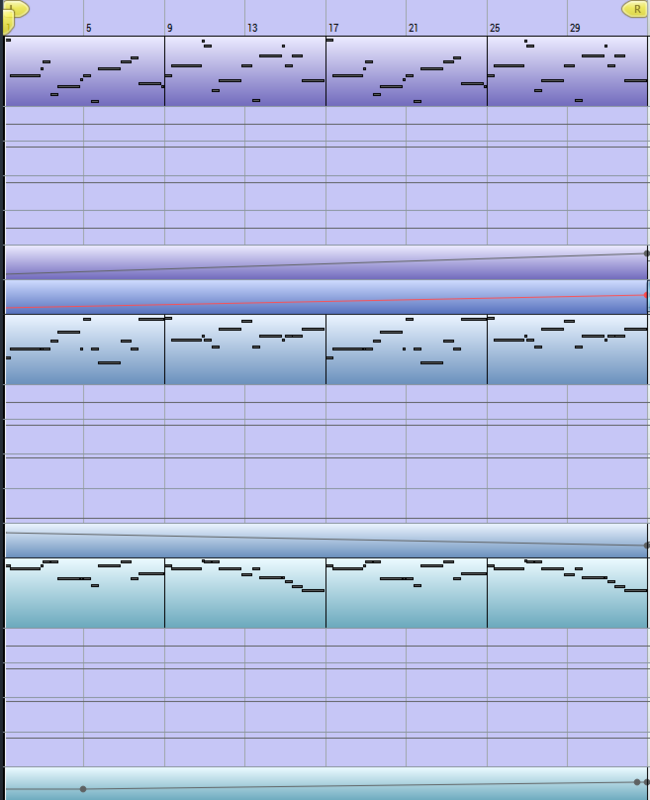 Try sweeping in the wetness as the intro evolves by automating the level of this return track.